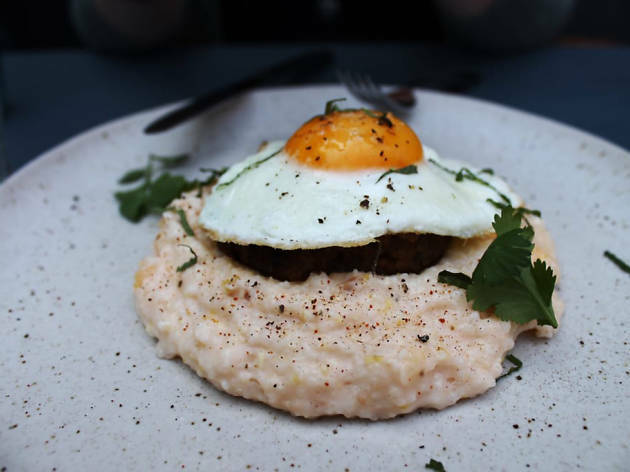 Kentuckians have a special kind of nostalgia, one that sparks curiosity and a desire to try new things in inventive ways on a daily basis—especially when it comes to food. 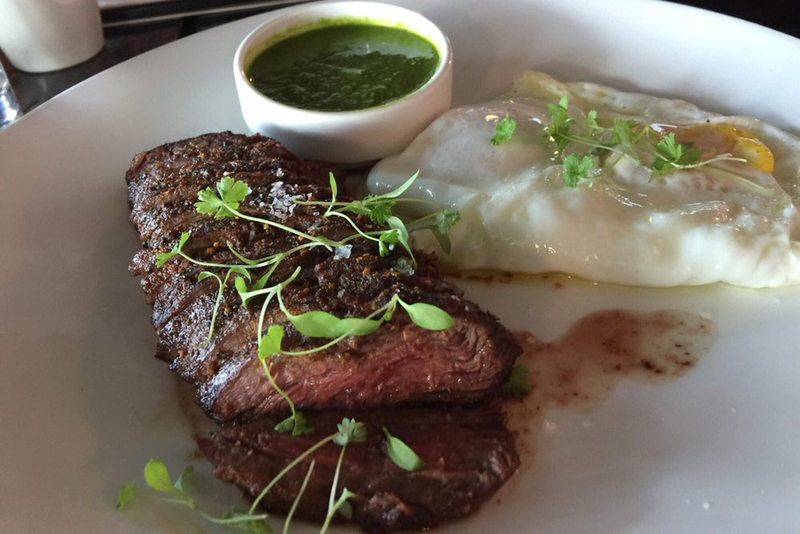 In recent years, the city’s dining scene has majorly evolved, bringing in a variety of novel tastes, techniques and cultures to all the major eateries in town, effectively rendering the city’s gastronomic stage one of the most eclectic across the country. So, after (or before, or while) tackling our list of best things to do in town, make sure to fuel up at the best restaurants in Louisville. 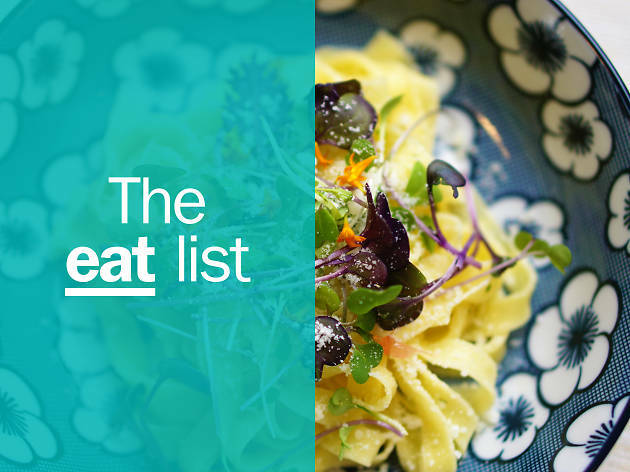 A combination of celebrity chef-helmed eateries, mom-and-pop stops and hole-in-the-walls will fill up your belly in new, unexpected and very delicious ways. What is it: For the past 25 years and counting, Shirley Mae and chef Theresa have been cooking fresh, Southern-style food every single day in a building that dates back to the 1880s. Why go: Smoketown is Louisville’s first African American community that began as an encampment for freed slaves. 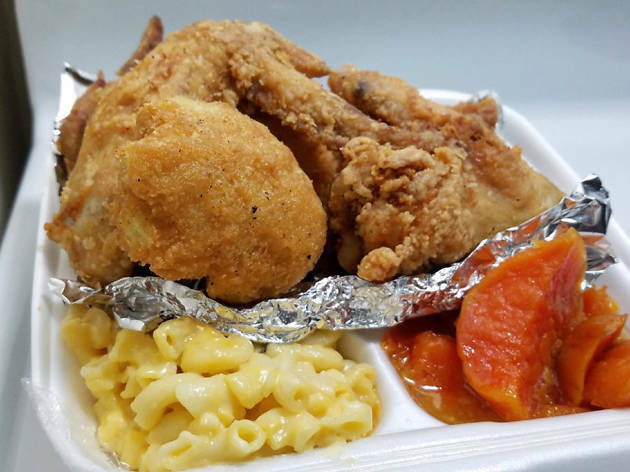 Shirley Mae’s Cafe & Bar honors that legacy by serving delicious soul food—think chicken wings, ham hock, turnip greens and more. What is it: Open since 2014, Gralehaus is Louisville’s first “bed and beverage.” Yes, it’s freakin’ awesome. 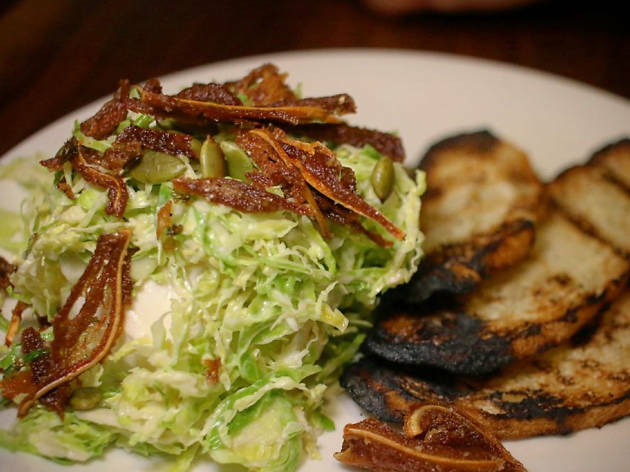 Why go: Gralehaus flaunts a modern bed and breakfast flair. Eclectically decorated and incredibly fun, it’s perfect for those couples looking for a day-long getaway or a spontaneous breakfast trip to the Highlands. Make sure to order the duck biscuits and gravy, veggie hash and waffles, oyster mushroom crepes and anything else that catches your attention on the menu. What is it: This cozy little nook is a flight downstairs from the Actors Theatre. Here’s the formula that gave rise to the restaurant concept: southern inspiration + Asian flavors + bourbon-heavy cocktails = culinary paradise. Why go: Chefs Kevin Ashworth and Edward Lee offer crispy, juicy southern bites with a nod to global cuisine. 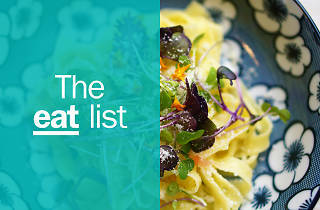 Rotating small plates showcase the creativity in the kitchen. FYI: the place is often frequented by actors for a post-show libation, so keep your eyes open if you’re into the celeb-spotting thing. What is it: Named after the first woman to “reach enlightenment,” Dragon King’s Daughter offers Asian fusion food with a wink to midwestern favorites (nachos, anyone?). 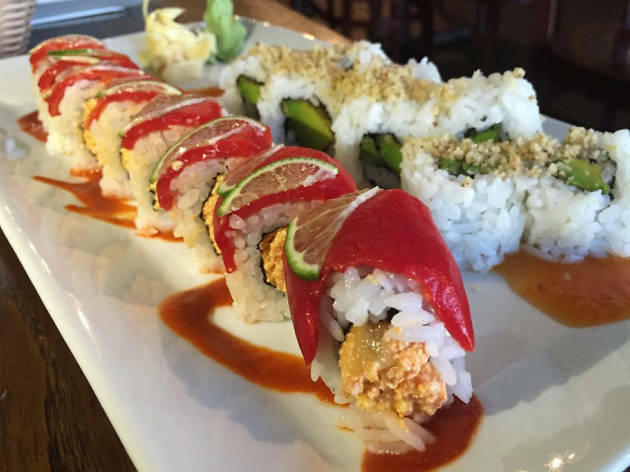 Why go: Ideal for foodie adventurers, the restaurants does sushi, sake and beer right. Try all the flatbreads, tacos and an assortment of unique rolls like the Italian picnic with prosciutto and basil and “Momma Ain’t Right,” with shrimp tempura and lobster salad. Vegetarians, vegans and folks with dietary restrictions are catered to as well. What is it: Aphrodisiac lovers’ paradise, Doc Crow’s is located on historic Whiskey Row and serves seasonal oysters from all around North America. Why go: Bourbon for all! The menu here is extensive and covers a range of flavors, from smokey savories to rich desserts, but the true treasure is the whiskey list: bourbon, rye and scotch galore await. How can you choose just one? You don’t. What is it: In the early 20th century, this simple brick building was home to Gunkel’s, a beloved family-owned grocery store. 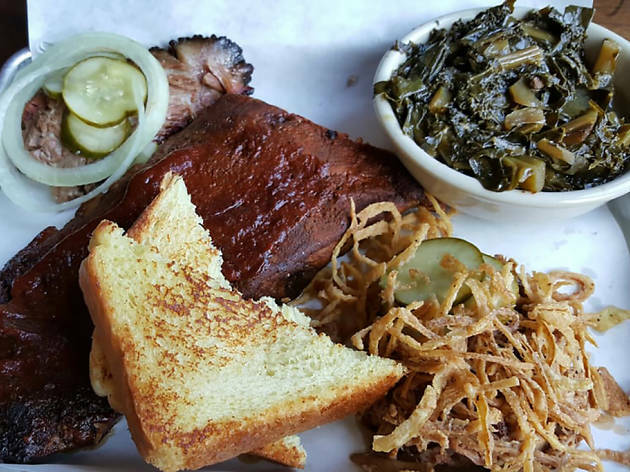 The heart of Gunkel’s is still inside Butchertown Grocery, where executive chef Bobby Benjamin commits to heartfelt ingredients that bring together the community. Why go: Go to feel fancy, without feeling out of place. 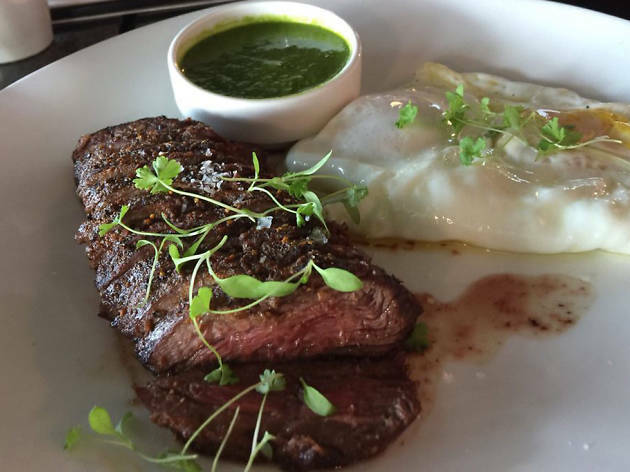 While the range of cuisine at Butchertown is not easily defined, the restaurant offers comforting flavors like the famous gnocchi, steak frites and lamb rack. Also be amazed by the lovely range of cocktails and the swanky set up, like the chef’s table surrounded by highboys and the Benjamin’s favorite ingredients. 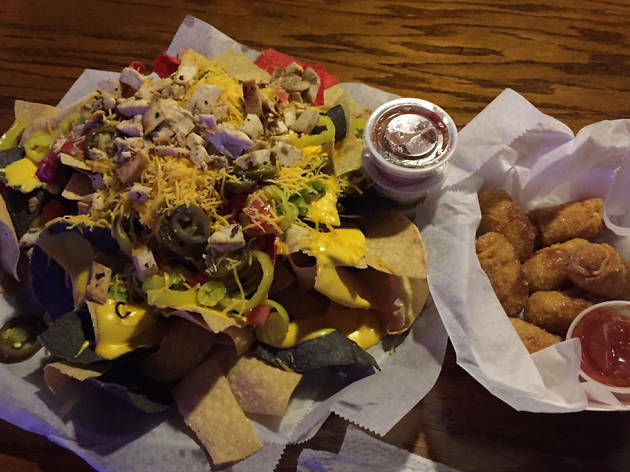 What is it: A watering hole also serving good bar food (fried mushrooms, barbecue nachos, jalapeno poppers) that you won’t soon want to leave. A plus: there are pool tables and a relaxing back patio as well. Why go: For wing-eating, pool-playing, arcade-going Kentuckians, The Back Door—in the heart of the Highlands—is a must-stop. Open until 4am on weekends, this restaurant is perfect for unwinding and winding up. What is it: Over 20 years ago (22, to be exact), El Mundo was a little burrito shack serving food on paper plates. Today, the colorful, cozy and casual brick-and-mortar space is filled with natural sunlight that comes in through big windows and perfectly complements the neon decorative lighting. 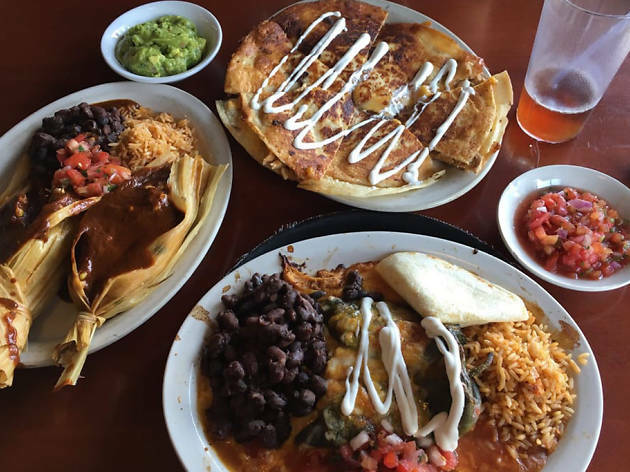 Why go: You’ll eat Mexican and Mexican-American favorites like spicy bean tacos, chile relleno and all different types of enchiladas. Often busy but never claustrophobic, the space also includes a patio and a bar serving a variety of margaritas and other cocktails, shaken and stirred with tequila and mezcal from all over the world. 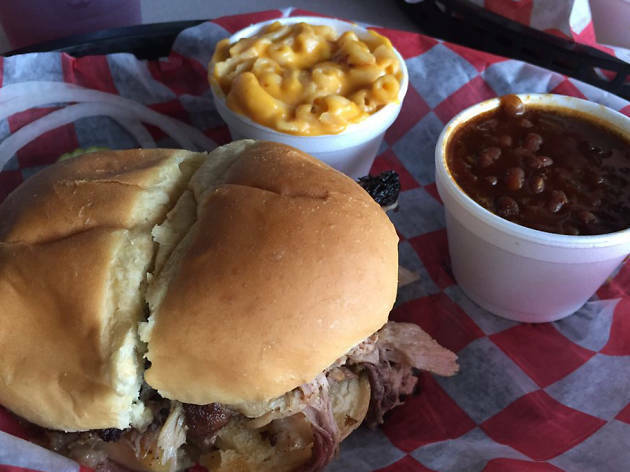 What is it: A completely unpretentious spot serving oh-so-delicious barbecue. Why go: Because you’ve probably driven past it, smelled it but have yet to visit it. Some other reasons to run here: racks of ribs, coleslaw, smoked pork, macaroni and cheese, cooked apples, baked beans, spicy sausage and, most importantly, no-BS service. 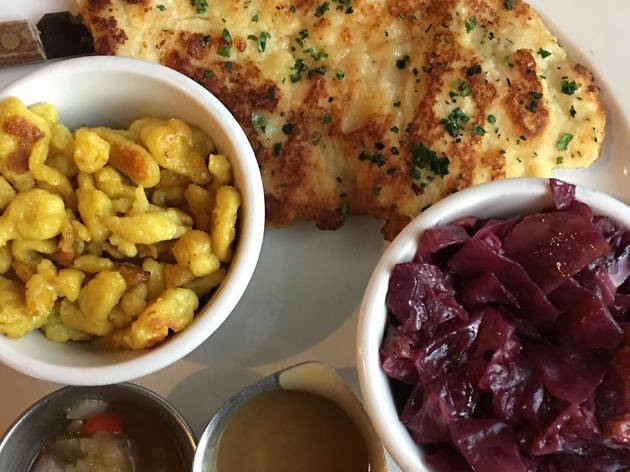 What is it: Located in Germantown, Eiderdown recently revamped its menu to include a more traditional German goodness (house sausage! Potato cakes! Pretzels!) and less culinary frills. Why go: If you’re looking to have fun while eating hearty food, this is your spot. The beer-mustard and curried ketchup give every dish a little extra oomph—add to that the 21 beers on tap and a very knowledgeable staff and you’re in for a great time. Fun fact: although uncommon at many German restaurants, this eatery actually offers a variety of vegetarian dishes, including tasty faux meats that taste like the real thing. 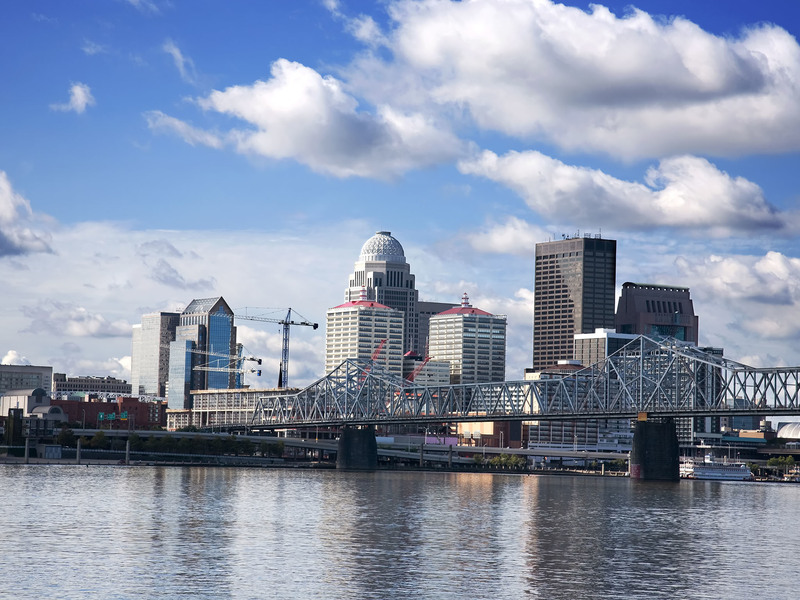 Planning a trip to Louisville?